Join us for Customer Day at Celebration! Are you new to the products and curious about all the other products and flavour options on offer outside of your current 30-Day System? Or perhaps you want to hear more about nutritional timing, the science behind our no-compromise products and how each of our products will benefit you. If any of this sounds like you, you’re going to love Customer Day – a newly-launched event as part of Celebration 2018 that’s tailored specifically for product users. 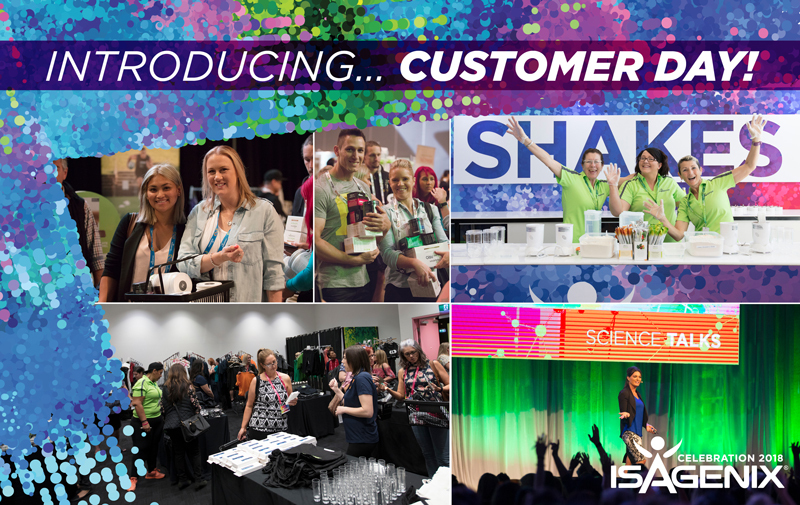 – Experience the Isagenix culture, meet the staff and have an amazing day! There’s also designated, kid-friendly spaces available, so you don’t need to book a baby sitter to join in on the fun! Tickets can be purchased from the Event Management booth onsite at the Brisbane Convention and Exhibition Centre on Friday 23 March! Head to ANZ.IsagenixEvents.com for everything you need to know.